This classic mid-20th century modern chair is a brilliant design. 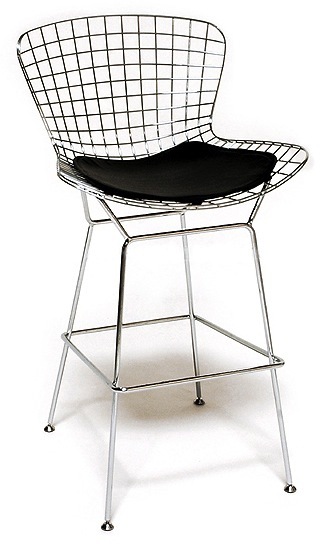 Our Bertoia barstool is a high quality reproduction of the original design by Harry Bertoia. Our barstool is exceptionally strong and surprisingly comfortable with its unique bent and welded steel rod construction. This reproduction is constructed with the highest quality materials and workmanship. The triple chrome plated steel frame complements all other modern classic furnishings. This barstool can be used indoor and/or outdoor.